Shop / Beauty / What is a Lash Lift and why is everybody talking about it? If you haven’t heard, Lash Lifts are all the rave. They have grown in popularity over the last year and we think it’s a trend that will last. With a legion of celebrity fans, a Lash Lift can transform your appearance and of course lashes. 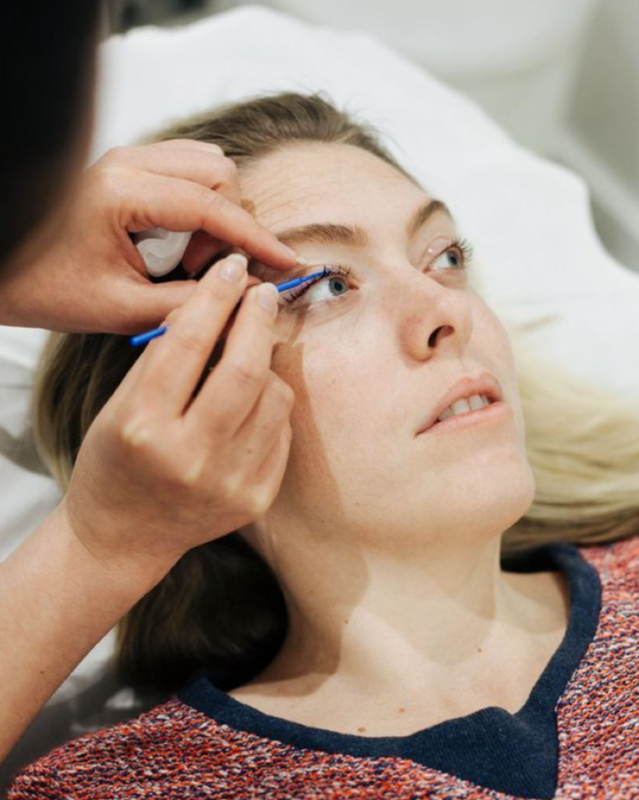 Before the popularity of the Lash Lift grew, Lash Extensions were the go-to for longer lashes, but as they say, out with the old and in with the new. 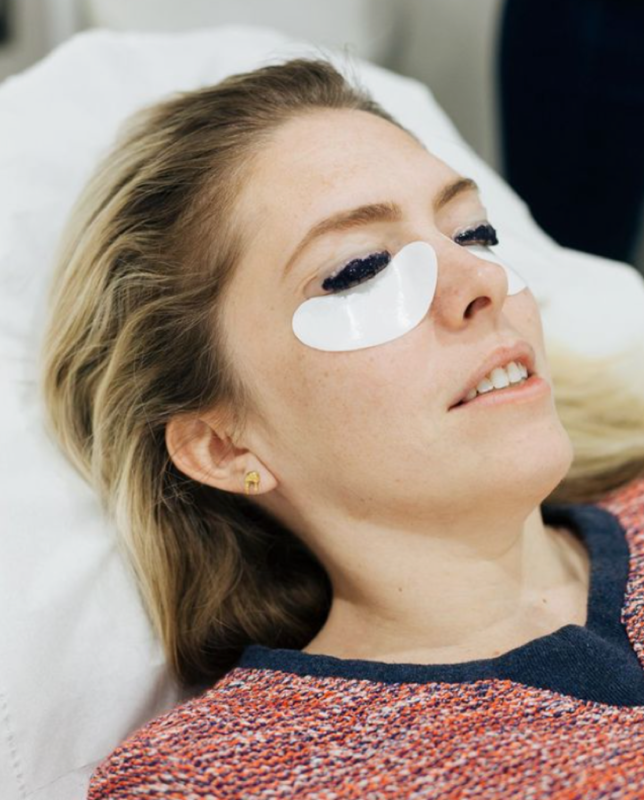 Prior to the Lash Lift, you must have a patch test to ensure the product is suitable for your lashes, it can be done weeks, days or even 24 hours before the lash lift. 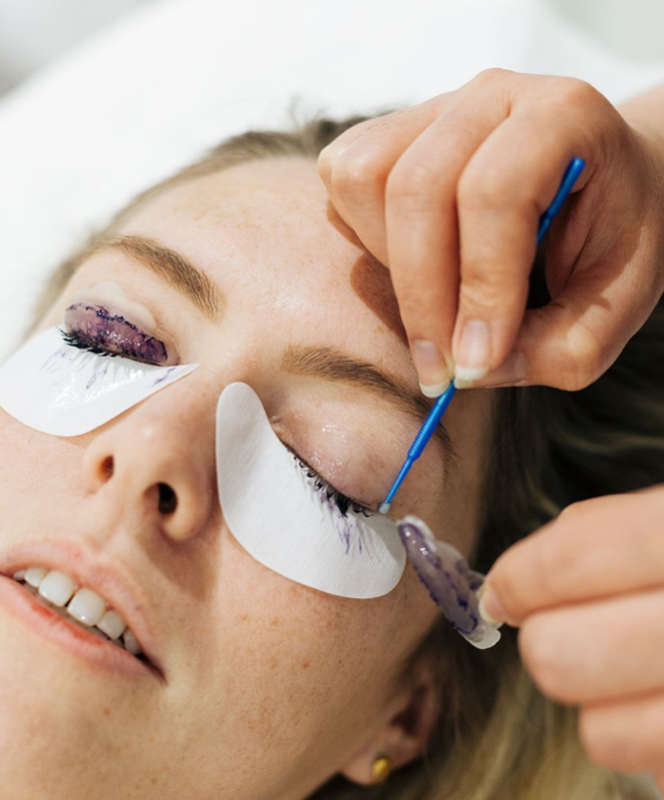 Once the patch test is all out the way, it’s straight going, you lie back and let the Lash Technician work their magic. They will cleanse the lashes, to ensure they’re makeup free and then a lash shield is placed onto the eye lid. The lashes are then placed onto the shield using a special glue and perming lotion is applied. Once 10-15 minutes are over, it is then wiped away and a setting lotion is brushed onto the lashes. That is then left on for a further 10-15 minutes, after which a lash tint of your choice is placed onto the lashes, the most popular tint amongst clients is blue black. Heading into the final stage of the process, a nourishing oil is applied to ensure the lashes stay nourished, hydrated and healthy. And that’s about it, a pretty simple process, with a beautiful outcome. 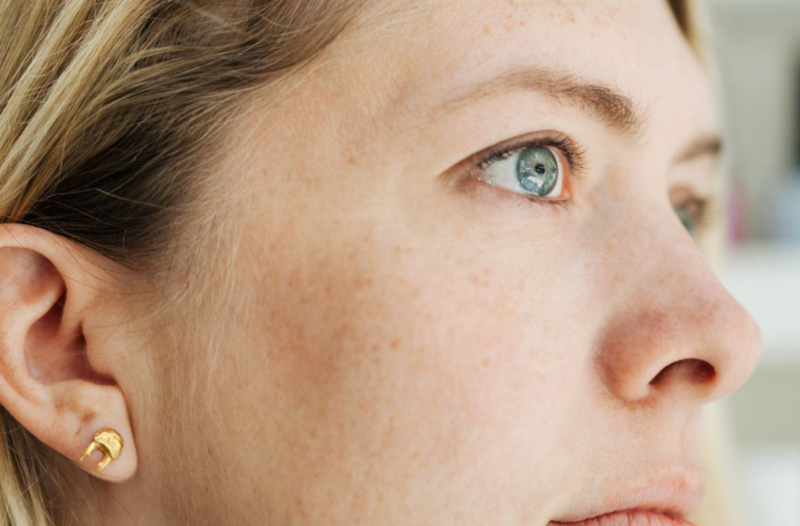 Although the benefits to a Lash Lift can be endless, we’ve complied a few of the best. A Lash Lift will make your lashes lifted, giving you eye opening results. The Lash Lift achieves results that last the natural life cycle of your lashes. It’s non-damaging to your lashes, and makes them appear thicker, fuller and longer. A Lash Lift can work on a range of lashes, long and full or short and stubby. With a treatment time of only 60 minutes, this can be done during your lunchbreak. The best part, the effects of the Lash Lift can last up to 6-8 weeks. If we still haven’t convinced of why you totally need a lash lift, we do offer lash extension packages starting from £110.00, feel free to browse the Nails & Brows Website. Refinery29 reviewed our Lash Lift Treatment. Read the full feature HERE. PreviousWhich Mayfair hotspots should you visit?